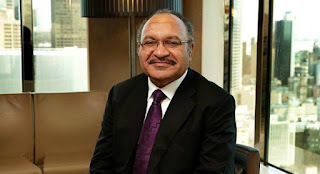 Home > all > news > PNG News > Corruption is PM O'Neill's Greatest Failure says ACT NOW! Corruption is PM O'Neill's Greatest Failure says ACT NOW! It is six years since Prime Minister Peter O’Neill promised the country an Independent Commission Against Corruption. Yet that vision is no closer to being realised today than it was in 2012, says Community Advocacy group ACT NOW! “Peter O’Neill has totally failed to live up to his promises in both the 2012 and 2017 Alotau Accords that the government would establish an ICAC”, says Campaign Coordinator Eddie Tanago. “The impact of not having a dedicated anti-corruption agency that is politically independent, fully resourced and that has full powers of arrest and prosecution has been devastating for our economic well-being and the quality of life for ordinary people”. “In PNG we repeatedly hear that a large-proportion of the national budget is lost every year to corruption, taking money directly from health and education services", says Mr Tanago. ACT NOW! says that while together, PNG, Australia and China are spending more than K1.1 billion  on the whole APEC extravaganza, a tiny proportion of that money would have been sufficient to fund the operations of a robust, independent and well staffed ICAC for more than a decade. “Ridding PNG of the scourge of corruption would do far more to assist development in PNG and ensure the well-being of our citizens than a huge party for the world’s leaders and their entourages”, says Mr Tanago.